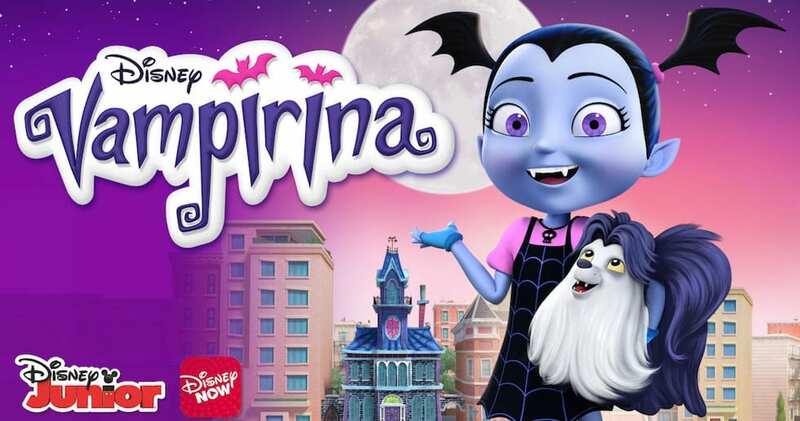 “Vampirina” combines spooky fun, storytelling, and music with stories that follow Vampirina (aka “Vee”) as she faces being the new kid in town, learning to make friends and attend a new school in the human world. Starting Sept. 30, Vampirina will make her way to Walt Disney World, joining her pals Sofia the First, Doc McStuffins and Roadster Racer Goofy for breakfast at Disney Junior Play ’n Dine at Disney’s Hollywood Studios. Later this fall, guests will be able to meet Vampirina at Disney’s Hollywood Studios in the Animation Courtyard, and she’ll also be joining the new “Disney Junior Dance Party!” stage show. To make way for Vampirina’s arrival, Jake from “Jake and the Never Land Pirates” will no longer be a part of the Disney Junior Play ’n Dine breakfast offering, and will no longer be meeting guests in the Animation Courtyard. However, Sofia the First, Doc McStuffins and Pluto will continue to meet guests in that area.